If you’re a parent who has raised children in a religious faith, this moment can be the most deflating one of all. You’ll question where you went wrong, and you’ll consider yourself a failure in the religious education department. It’s one thing to worry about your kids’ education or peer groups, quite another to worry about their souls. But I’m here to tell you that what you’re experiencing is normal. It is the natural progression of children transitioning into adults, asserting independence, and questioning previously accepted mores. It is the process of moving from indoctrination (believing something because someone you respect told you to) and true enlightening (believing something because you, yourself have experience with it and have developed your own insights). This process is an essential part of growing up and making decisions about your own bottom line and life standards. What should you do if you children announce that they no longer wish to follow the faith? 1. Don’t overreact. 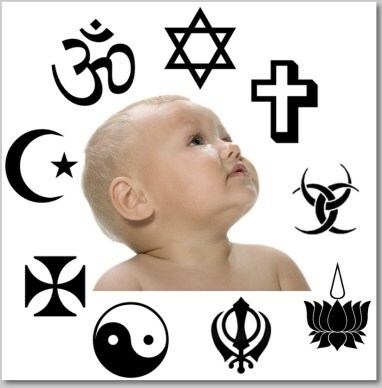 Many people consider their religious beliefs to be paramount to their lives, the foundation of who they are. It only makes sense, then, that kids who are desperate to be independent of us will start with what they believe to be the foundation of their childhood upbringing. In their minds, the one thing they can control 100% is their belief system, so it makes sense that this is where they start their journey to independence. 2. Don’t force the issue. If you do overreact, you will drive them further away. I say this about everyone and everything. If you push stubborn people in one direction, they will go the other way if for no other reason than to prove you wrong. You can’t force faith. 3. Encourage open, non-judgmental conversations with your kids about what they’re thinking. What doubts do they have? What questions would they like to ask? You may find that they don’t want to go to church but still enjoy praying and participating in family traditions. Or, you may discover that they have legitimate concerns or worries about their faith that a religious leader may help in addressing. 4. Treat religion as a journey, not a destination. That means that you’re growing right along with them. You don’t have all the answers, but you’re willing to seek them. Teenagers will find this approach refreshing and it might help them relate to you a bit more. Instead of looking at religion as something you have or don’t have, thereby creating the push and pull of the haves and the have nots, they can freely pursue it at their own pace and in their own way, thereby relieving the pressure. 5. Give them time to explore. Exploration leads to discovery. They may find another path that makes you uncomfortable; they may even travel down that path for an extended time, but everyone’s journey is different. It may be that they need to experience other faiths or no faith at all so that if and when they return, they’ll do it with conviction and strength of self. 6. Pray about it. You may be able to control your children’s actions and routines while they live in your home, but once they’re adults, you can’t make them do anything. At that point, the best you can do if you’re a person of faith is lean on that faith and pray. According to Christianity Today, two-thirds of Christians who leave the church in their youth return to it as adults. That’s why what you’re doing now as parents is so crucial to the people your children will eventually become. Regardless of whether you affiliate with religion or eschew it, your beliefs form your children’s beliefs and contribute to family traditions and daily life. In most cases, your kids will return to their foundational roots, and exploring other branches is part of that process. For help identifying normal teenager behaviors,”check out my book Teenagers 101. How well do you really know your kid? 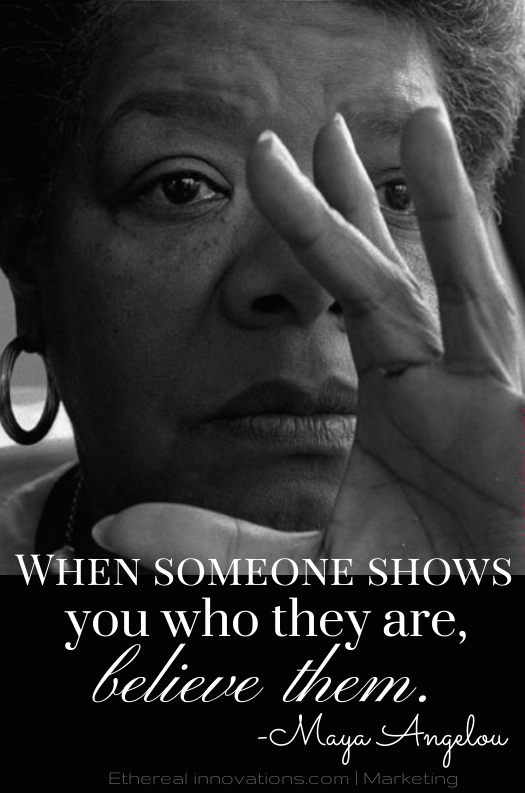 A quote I repeat often is by the great Maya Angelou: “When someone shows you who they are, believe them.” I find this sentiment close to perfect because it brings to the forefront not what people tell you about themselves, but what their actions demonstrate about who they really are. My husband has always warned of smooth-talking men (perhaps because he’s not one), claiming that any man who spends that much time worrying about the right thing to say is clearly not genuine or authentic. This made me wonder – does the same apply to our kids? Think about what your kids tell you about themselves. Then compare that to what they show you. Is there a disconnect there? Do you sense any hypocrisy between what they say and what they do? I’ve heard plenty of people say that if a teenager’s mouth is moving, he or she is lying. I don’t cotton to that jaded perspective, but I understand where the accusation comes from. Teenagers often lie, directly to our faces, and we believe them. They have perfected the art of presentation, the art of image, the art of deception. I’m not saying they’re malicious and cruel. I’m saying they know how to present themselves to different people, as, well, different people. Your teenagers are different around me, their teacher, than they are around you, their parents. They’re even more different around their friends. Their grandparents. Their minister or rabbi. Police officers. Cliques at school. Fellow athletes. They are malleable. They are, many times, whoever their audience wants them to be. Does this make them less real? No, because if you think about it, we all do the same thing, if in lesser proportions. I talk differently to you than I do to them, to my parents, to my minister, to police officers. But I’m fairly certain people know the real me. I’m not a woman of mystery; my face gives me away every time. Plus, I’m a grown woman who quite frankly rarely cares a whole lot about what others think of me. But teenagers care, very, very much. So they become chameleons to survive, to be accepted, and to be loved. How do you know who your kids really are? Just listen to Maya. Pay attention to what they show you in various life situations. How do they treat adults and people in authority? How far will they go to be accepted? What’s their bottom line? What are their top priorities? How do they react to setbacks? How do they spend their free time? What people do they choose to spend time with? You can ask them every question in the book, and they can answer those questions, but it doesn’t mean you’re any closer to knowing your kids. Watch them. Look for patterns of behavior that truly show your kid’s character versus focusing on an isolated incident that is likely the result of a single poor decision. The patterns are key. Because I’ve taught so many teenagers for such a long time, I can recognize patterns quickly and identify where a kid is headed. It will be harder for you, but you can definitely do it. Just don’t get sidetracked by flimsy words unsupported by actions. If, for instance, your kid presents herself as someone you can trust, someone who is just hanging out with her friends on the weekends watching movies and talking, but she consistently misses curfew and acts strangely when she returns, pay attention to what she is showing you. Then follow up. Be the parent who calls the house (not your daughter’s cell phone) to make sure she is there and that parents are home. Set the boundaries, institute consequences, and see what she does next. Is she furious with you for checking up on her? Does she now start making curfew? What is she showing you about her level of maturity, her trustworthiness, and her understanding of her role as your daughter? Your kids are not what you want them to be. They’re whole independent individuals who lead lives you only know a fraction about. They know you as mom and dad, but they really don’t know you as husband and wife. You know them as son or daughter. But how well do you know them as boyfriend or girlfriend, friend, student, classmate, or grandchild? For help identifying patterns of behavior and figuring out just who your kids are, check out my book Teenagers 101.